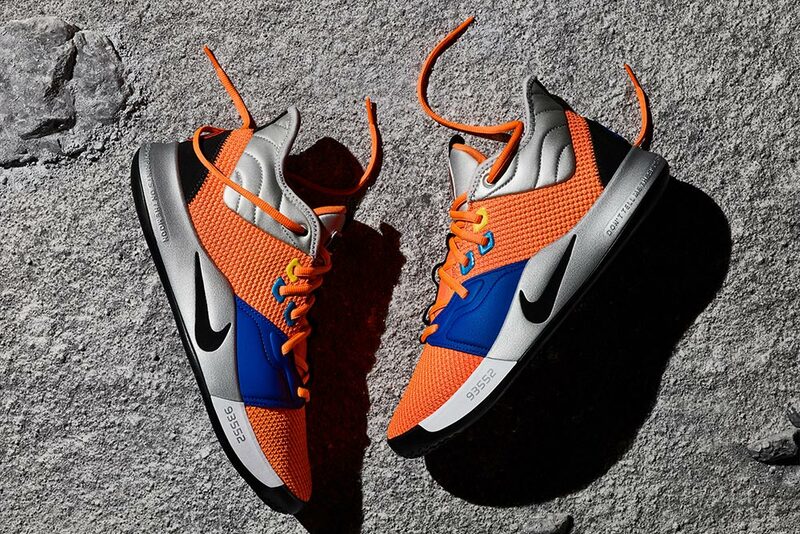 Having already had 2 models with an addition of a 2.5 silhouette, OKC Forward Paul George is on course already with a 3rd to add to his signature line with Nike. The creation of the Nike PG3 had to be better than the last but how? 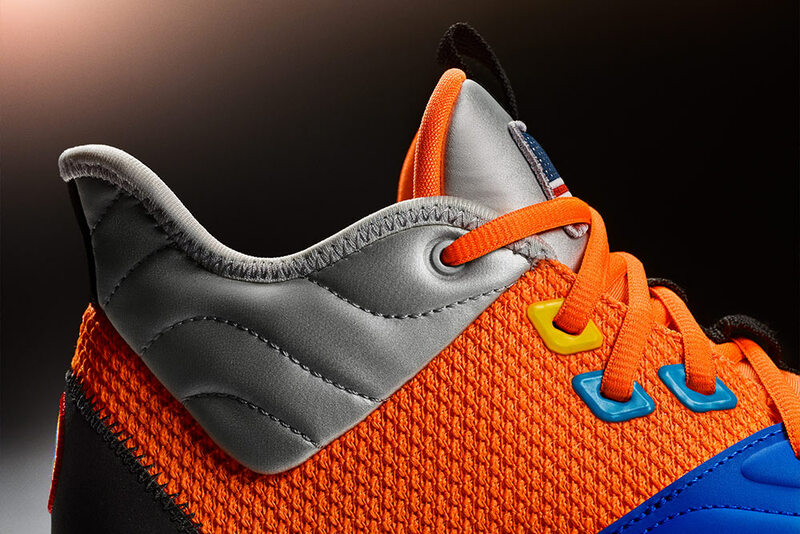 Nike Basketball Footwear Designer Tony Hardman had three veteran principals to deliver the right performance sneaker for Paul George: Traction, Fit and Weight. 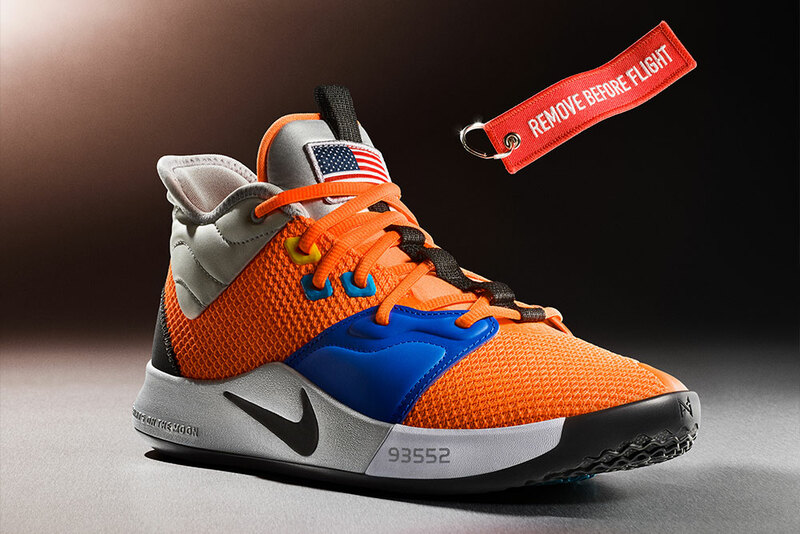 Make It Faster: Shedding down unnecessary material (such as extra TPU), integrating the tongue into the collar, employing a softer, lighter foam in the midsole and utilizing mesh in the upper resulted in shedding nearly an ounce off the PG 2.5. Make Evert Step Matter: To enable that movement, the PG3 features a circular traction pattern that helps George cut sharply, close out at a sprint and stop on a dime. 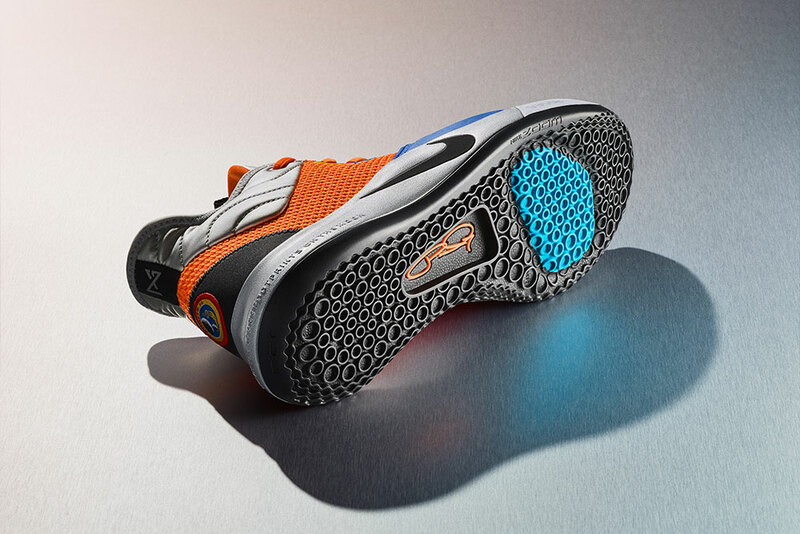 George is further locked in with the free-floating, synthetic “wings” across the forefoot, a feature carried over from the PG2. 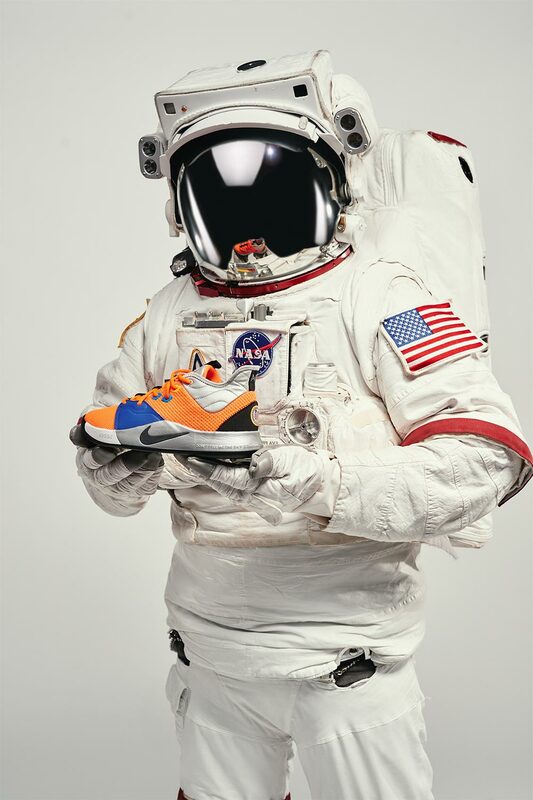 The Nike PG3 features colours from the NASA Flight Suit which is a combination of orange and blue, a lightweight ripstop collar taken from the lightweight foil from the space suit gloves. 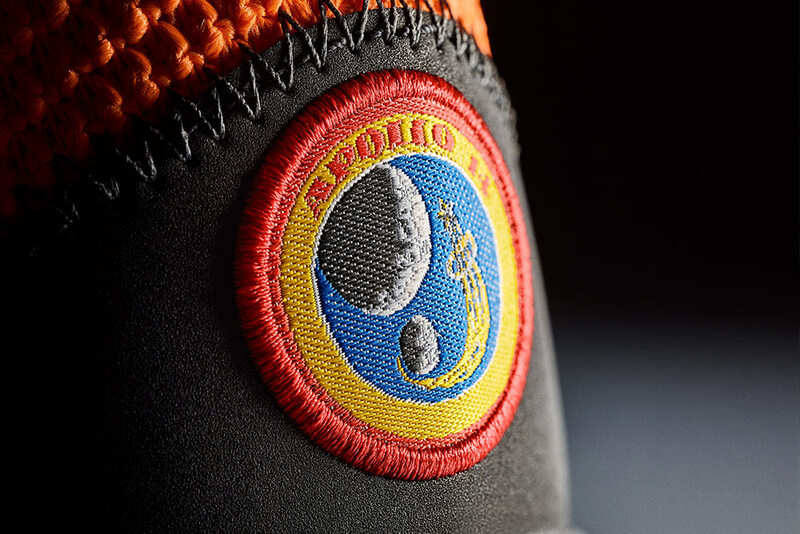 In addition, a host of personal touches from Paul George are present from the Palmdale zip code on the midsole to Apollo 14 patch on the heel and hits of morse code on the outsole. 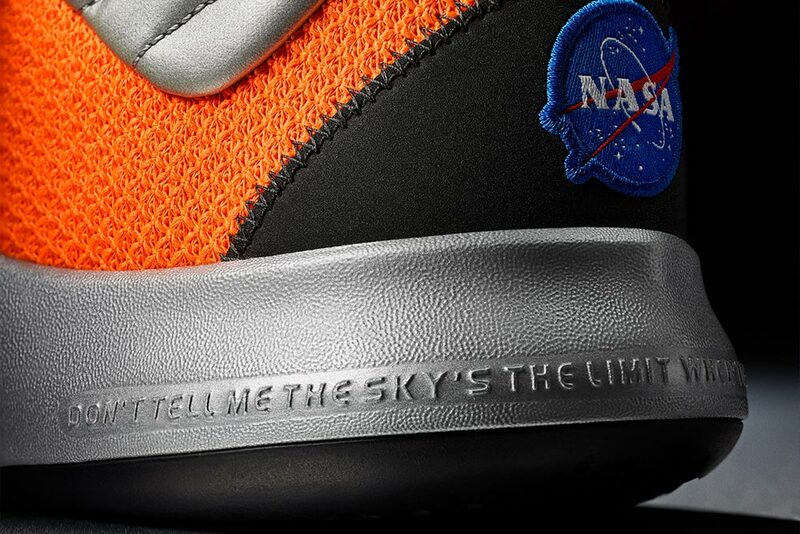 A quote he lives by “Don’t tell me sky’s the limit, when there’s footprints on the moon” is also featured on the outsole. 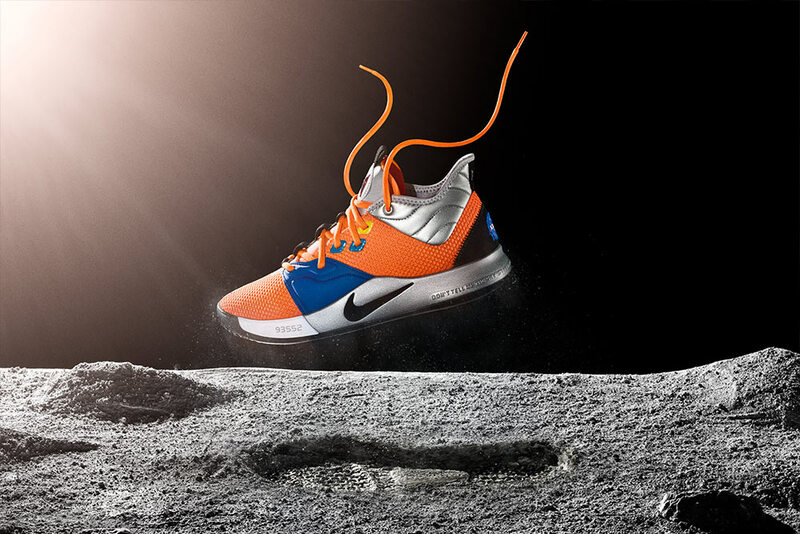 Nike PG3 ‘NASA’ | Launching online on Saturday 26th January (available online at 8:00AM GMT). 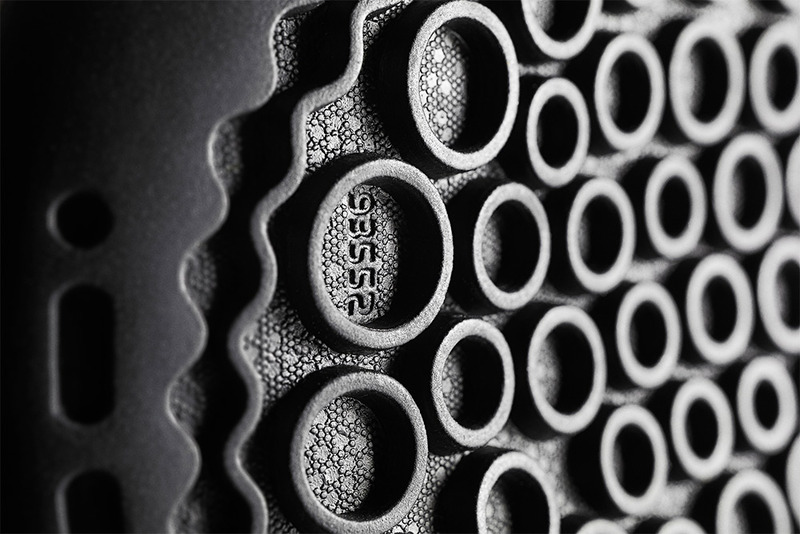 Sizes range from UK6 – UK13 (including half sizes), priced at £115.